This year’s DESERTFEST LONDON lineup is now complete and stage times are out. It looks like one hell of a tasty treat! 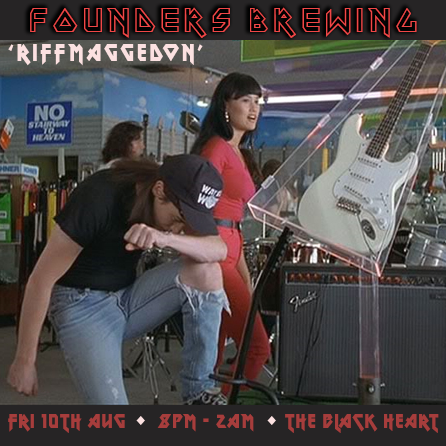 As always the Black Heart will be the epicentre of the festival, with all sorts of fun things in the alleyway out front, a bulk of killer beers on sale at the bar, some of the heaviest and most destroying bands the festival has to offer upstairs, and the most outrageously raucous afterparties every single night. Tickets are still available but are shifting VERY fast, so don’t wait around. As if ALL this wasn’t enough, the annual official festival pre-party is also being held in our hallowed walls once again. This year it’s a stonking lineup curated by none other than our favourite Heavy Metal Record Shop CRYPT OF THE WIZARD, and features the heavy delights of Ghold, Rainbow Grave, Primitive Knot and Bible. on selected Saturday afternoons from February ! Please come wearing flexible, comfortable clothing. We loved Hotter Than Hell Kiss Tribute so much on Halloween that we decided to fly them back to London for the NYE party to end all NYE parties, with a specially curated setlist that you can help choose! Plus LIVE EVIL DJs spinning the hottest in rock, metal and disco all night long! A limited amount of tables are available to be reserved for large groups. 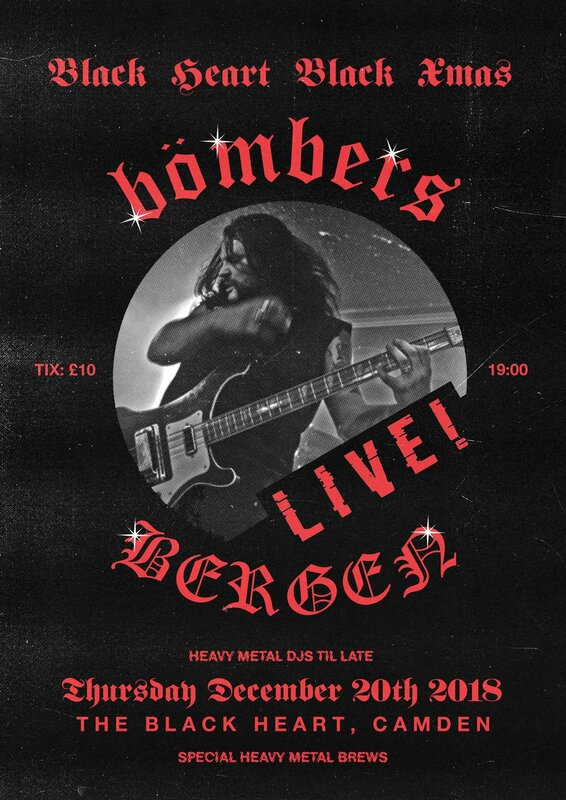 It’s that time of year again, winter is upon us scrapping it’s icy fingers deep across everyone’s miserable soul, but things are staying hot up in the Black Heart’s venue as we welcome the mighty BÖMBERS, Bergen’s premier Motorhead Tribute Band to raise hell in Camden! Featuring none other than ABBATH ( ex-Immortal ) aka Killminister - bass / vocals, TORE ( ex-Old Funeral , Studfaust) aka Fast Tore - guitar, and PEZ (ex-Punishment Park) aka Party Animal Taylor - drums, the trio will be ripping their way furiously through a set of the ultimate Motörhead classics on Thursday December 20th. Plus, heave metal dj’s in the downstairs bar afters to keep the party flowing Fast And Loose! Tickets are on sale now and shifting fast so unless you were Born To Lose then get on there and bag yourself one asa-bloody-p! 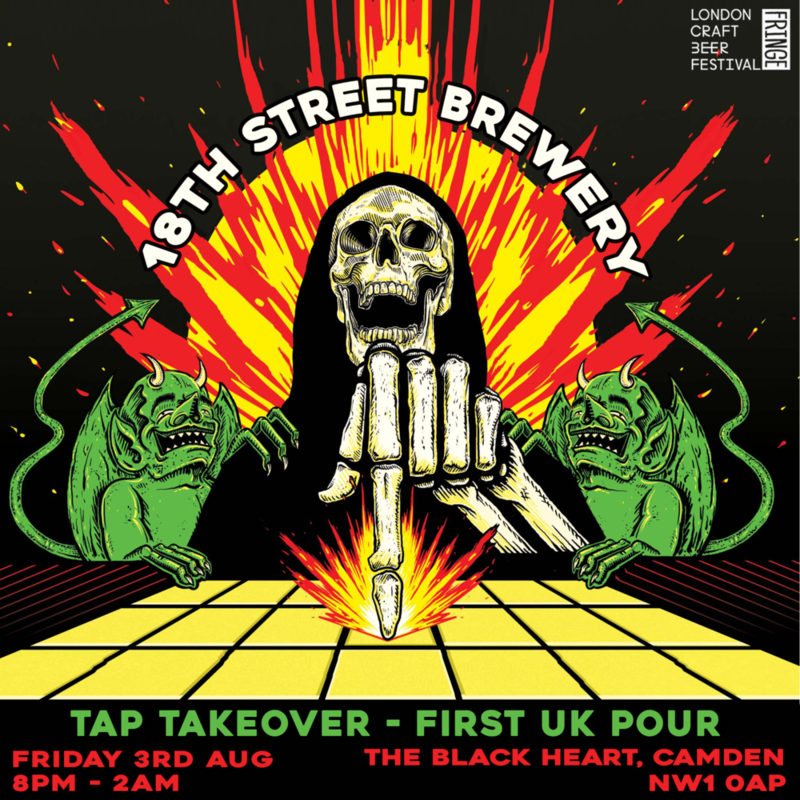 Once again another monumental free show brings itself to The Black Heart, the Earth shattering YOB will rattle the grounds of Camden for a very special performance on November 15th. YOB are undeniably one of the heaviest live bands to wrap your mind around. Their unique, complex and crushing take on doom makes them one of the most innovative and celebrated acts in the heavy music scene, the only way to describe a performance by YOB is all engulfing; a transcendent soundscape that hits the very core of your being. Support will come from London's very own tone-titans Poseidon. We are honoured to be hosting them for an extremely intimate, albeit extremely loud, performance on Thursday November 15th. As always this is an event for the fans, whilst supporting small independent venues and yes, it follows the same model as previous free shows - which means the only way to get in is by queuing. No bagsies, no guestlist, no bribes - but as y'all should know by now, we always endeavour to squeeze every last one of you in so get on down! Hell-O-Ween is almost upon us! As we gear up for our biggest Halloween party to date this Saturday 27th October, with Europe’s best KISS cover bands HOTTER THAN HELL, we’re stoked to reveal we’ll be having a takeover from our favourite Norwegian brewery, the insanely cool Amundsen. But before the beer list is revealed, it needs to be known that we take Halloween very seriously here - so to make sure y’all follow suit this weekend, we’ll be asking Gene and the gang to pick their very favourite costumes of the night. 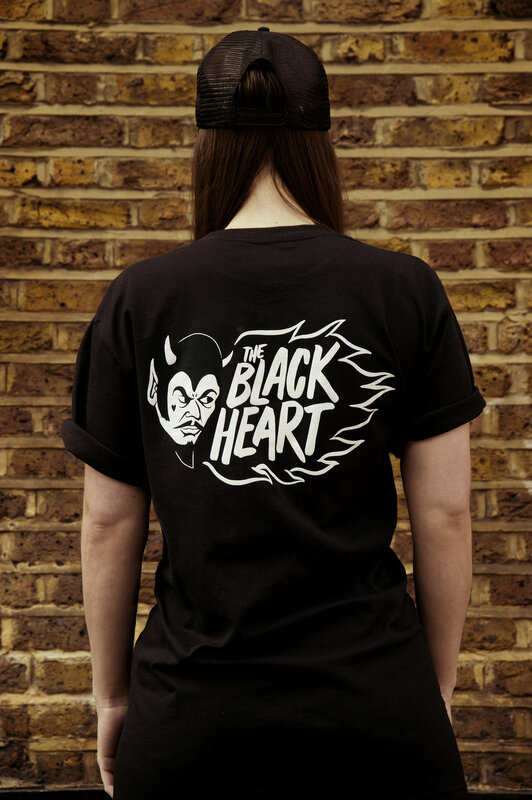 1st place will WIN a £50 bar tab, plus your choice of Black Heart merch, each runner up will also win their choice of merch! And a reminder that entry is FREE to our Halloween party all night, so get the fake blood and ratty wigs out folks, we wanna be scared to D 👻 E 👻 A 👻 T 👻 H! Plus we’ll have some gruesome games ✟ prizes for the best costumes ✟ special satanic shots ✟ and London’s most devilish DJs to keep ya partying with the DEADD till 2am. One of our favourite records labels of all time, the legendary SOUTHERN LORD are celebrating a momentous 20 years of musical madness. With the likes of EARTH, SLEEP and SUNN O))) on their roster, Southern Lord have been releasing the heaviest goods on the planet for two devilish decades now. 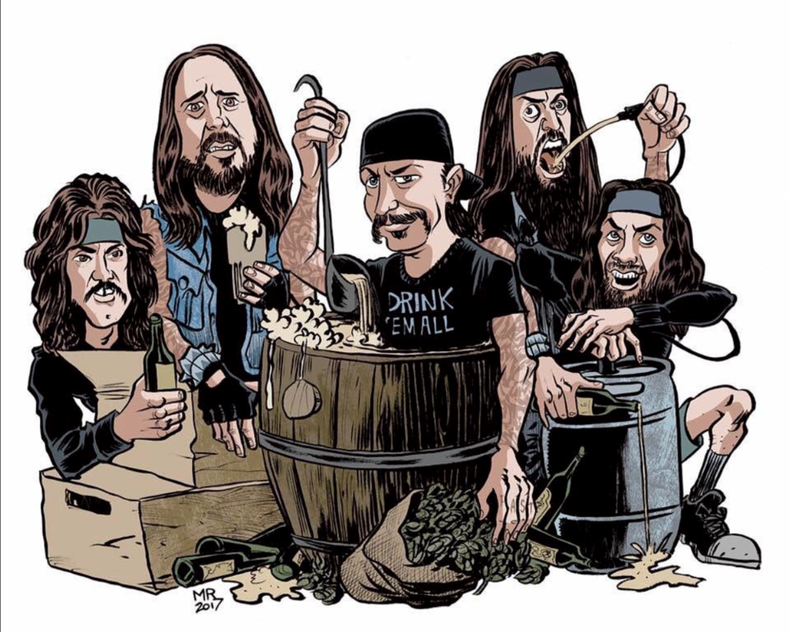 We are truly honoured that founder Greg Anderson has made us a playlist of some of his favourite tracks from their extensive collection of bad-assery, believe us when we say we're gonna be blasting this in the bar non-stop. 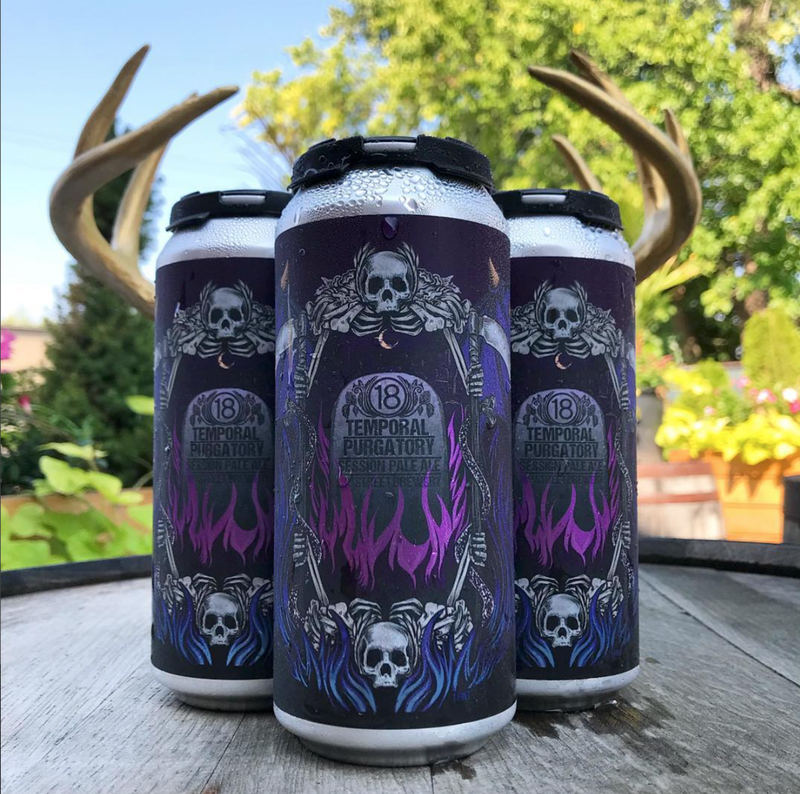 Label owner Greg Anderson comments "Over the years Southern Lord has the incredible honour of releasing albums from cult legendary bands: Electric Wizard, Sleep, Magma, Unsane, Darkest Hour, Grief, Saint Vitus, BL’AST!, Winter, Wolfbrigade, Poison Idea, & Pelican as well as iconic, monumental artists: Dylan Carlson (Earth), Wino, Dave Grohl (Probot), Zakk Wylde (Zakk Sabbath) & Josh Homme (Desert Sessions). We are extremely proud to have been a part of the developing rise of several bands who are now part of the essential fabric of the underground: Wolves In The Throne Room, Nails, Boris, & Power Trip." Greg continues..."It is our mission to create a sanctuary for bands/artists/musicians to have their creative works released exactly as their vision was intended." Back in March, the mysterious and mesmerising Magna Carta Cartel reignited their flame after 9 long years to play two live performances. The Black Heart was lucky enough to play host to this momentous occasion - the shows sold out in a manner of minutes, with fans from all over the world flying into London to bare witness to their return.